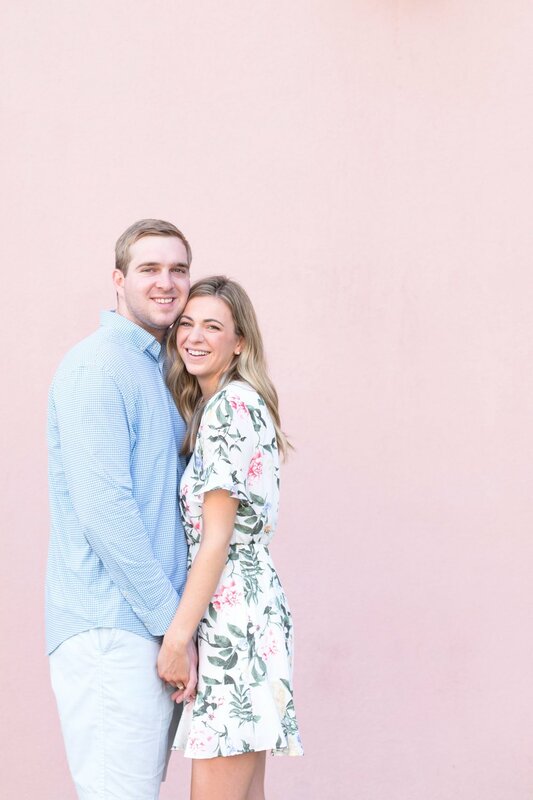 Sarah & Cal are one of my April couples and I cannot be more excited about it! Sarah stumbled upon my instagram page last year (has it already been a year?!) and we met at a local cafe to discuss all things wedding related! 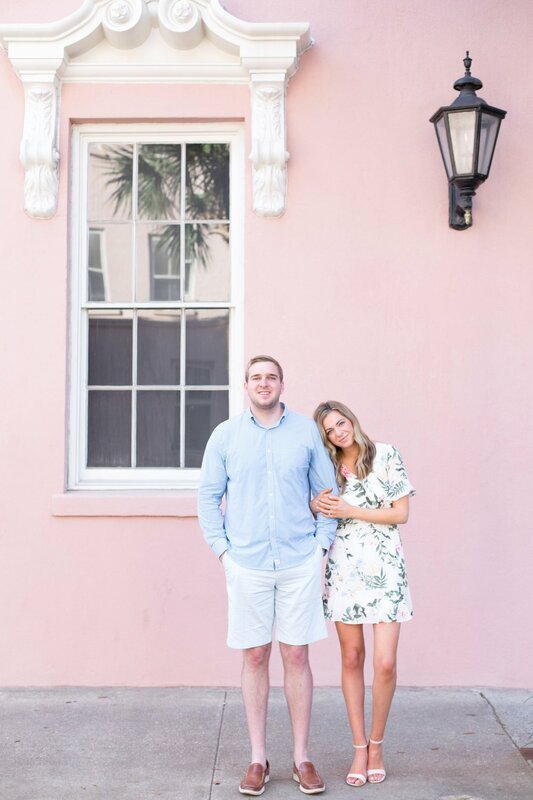 They recently made the move to Chicago and have been planning their Charleston wedding from afar! Kudos to everyone who does this by the way, Tim & I got married out of state and I gotta say, it’s not an easy task! haha. I was so happy to finally meet Cal at their engagement session! I quickly realized how short I am between both of them… I mean check out the heels Sarah is working in these! She owned walking in those things for our entire session! (insert clapping hands emojis!). 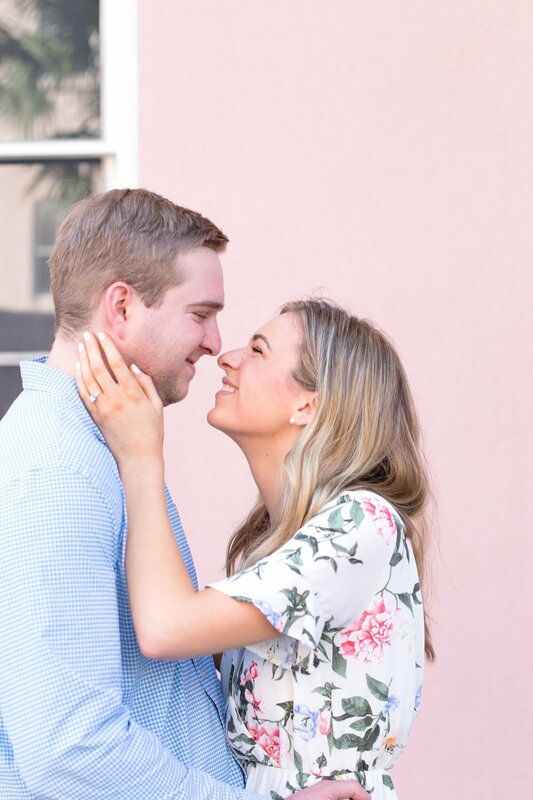 Their April wedding will take place at the Citadel Chapel and Dunes West & I can’t wait for it! 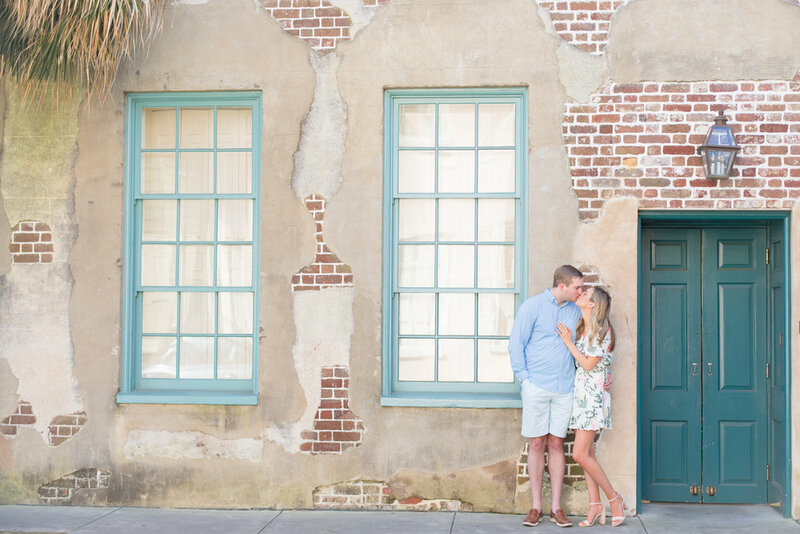 Check out a few of my favorites from their downtown Charleston engagement session below.